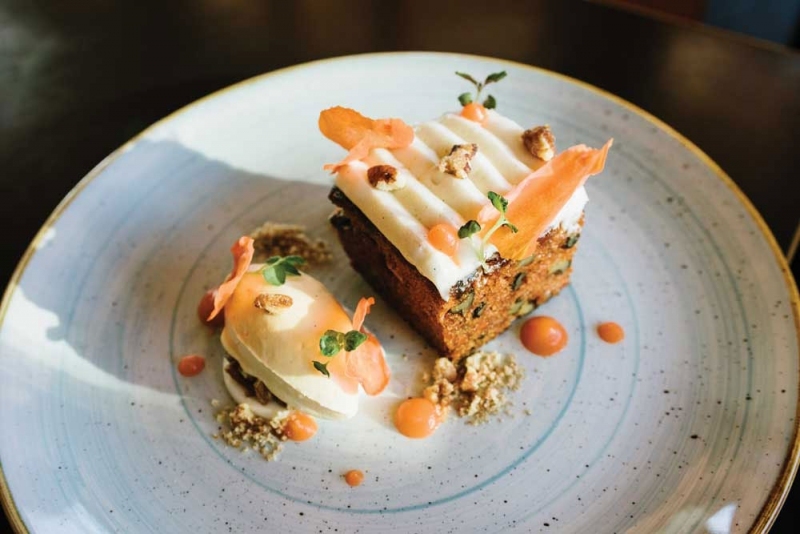 Carrot cake with vanilla cream cheese icing, carrot cream cheese mouse, carrot chips and powder. Photograph by Jared Sych. FOOD | Vegetable-forward contemporary Canadian. VIBE | Friendly and cozy. DECOR | Upscale lodge in a park setting. DISH | Roasted Brussels sprouts with guanciale, pecorino, candied walnuts and aioli. TIP | Try to get out on the patio on a summer day. Following the success of River Caf on Prince’s Island Park, the City of Calgary built a restaurant structure in Central Memorial Park in 2010 as part of the park’s redevelopment. Boxwood resided there for five years but when the lease came up, owner Sal Howell decided to concentrate on her new Deane House instead. So Provision, under the direction of Kirk Shaw and Jackie Cooke, who also own Avec Bistro, moved in. They did a few renovations, making the space a bit cozier and more lodgey. 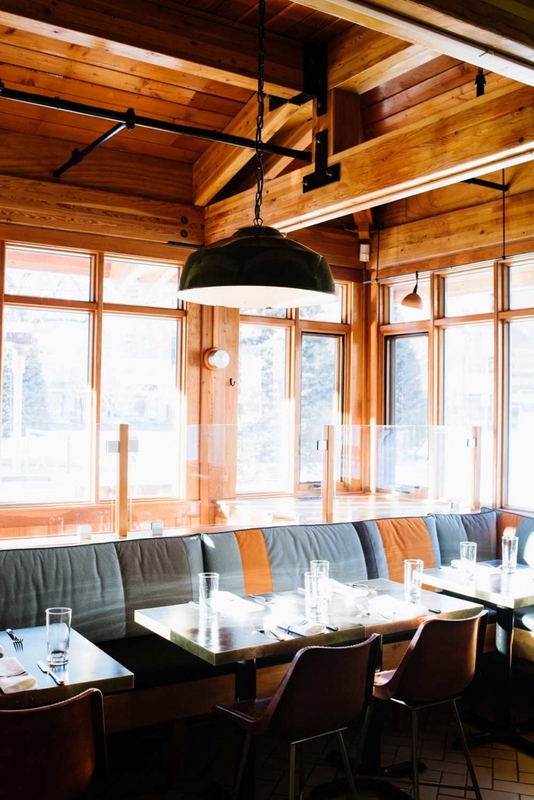 Since opening in December 2016, Provision has become a popular Beltline destination for dining inside at a quiet table or lunching on the patio, surrounded by the park, on sunny afternoons. Chef Daniel Pizarro works with a small but talented team preparing a vegetable-forward menu of charred cabbage with garlic ginger crumb, celery risotto with truffle essence and roasted haloumi cheese with heirloom tomatoes and eggplant. Meats and fish appear, too, with duck breast served alongside kabocha squash rosti and Alberta lamb saddle plated over a chickpea pure. Pizarro applies the same thoughtfulness to the desserts, which change often but are consistently worth saving room for. It’s a tight, cleanly executed menu that suits the setting and satisfies the crowds. And Shaw and Cooke’s wine, beer and cocktail selections skillfully match the food. Expect a cozy vibe when you dine at Provision. Photograph by Jared Sych.